Cambridge Analytica & Vote Leave. The whistleblowers’ revelations. 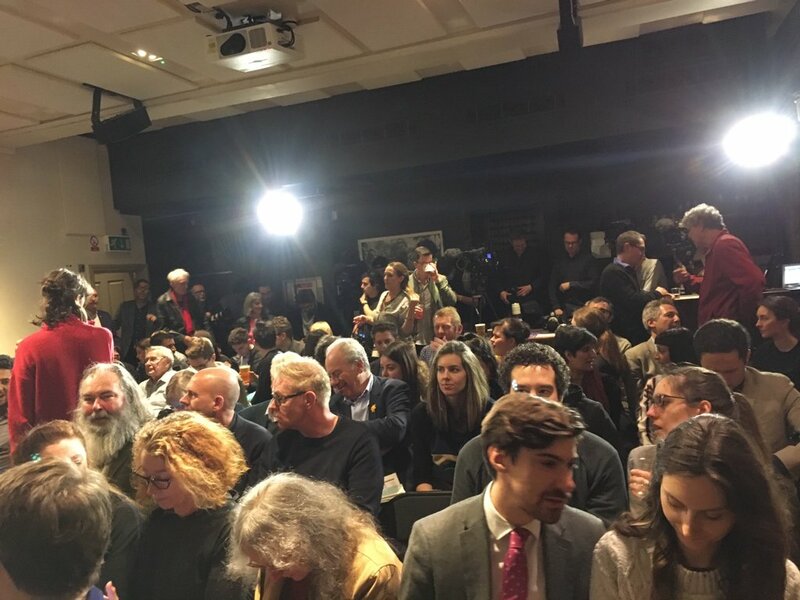 Once again the Frontline Club is packed with journalists, Byline Media folk, and TV cameras for the latest revelations in the Cambridge Analytica / Trump / Brexit saga from two whistleblowers. First thing to note is that security has been increased a level or two since last week’s gathering. Two checkpoints against the guest list, and a minder scanning the room. We’re about to kick off. 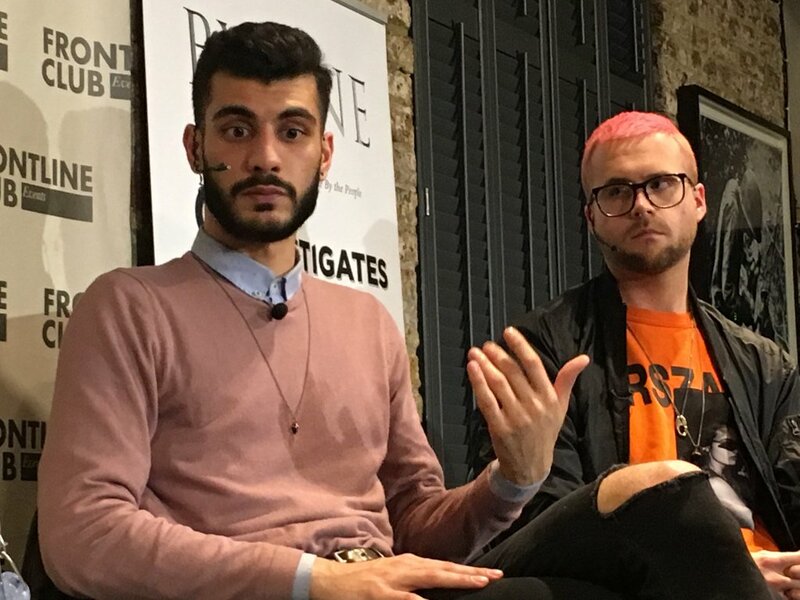 The focus of attention tonight is Shahmir Sanni, joined again by Christopher Wylie who was the focus last week. Carole Cadwalladr will be joining later when she’s filed at the Guardian. Chris is carrying a large ring binder of documents. 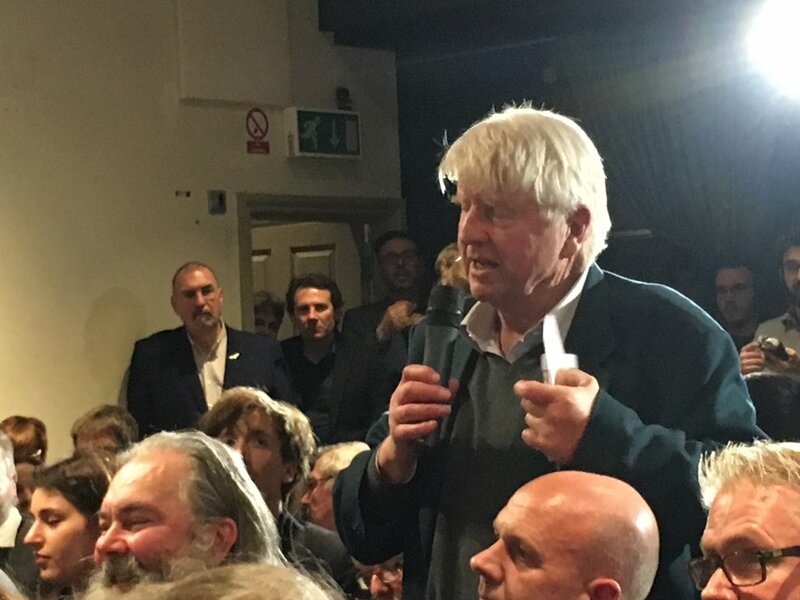 Boris Johnson’s father is in the audience. Peter Jukes, the host, starts by asking Shahmir about being outed by Number 10 over the weekend. He found out about it when the New York Times forwarded his lawyer an official statement from No 10, that outed him. Shahmir has had to come out to his family under pressure. He is crying as he talks about this. “It’s okay, I’m just being a drama queen.” Warm applause for him. His family now need security in Pakistan. He doesn’t want to think about what it will be like to visit them. Both whistleblowers were actually pro-Brexit — hence their work with the campaign. Chris explains that he would often be on conference calls, while at Cambridge Analytica, with people from UKIP. 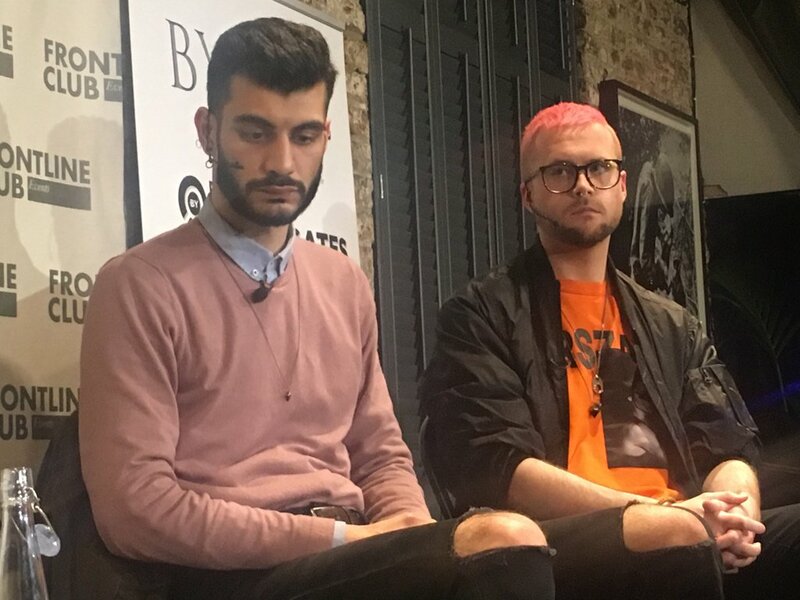 Cambridge Analytica were at the launch of Leave.EU — then claimed they had nothing to do with each other. Now they admit it. They apparently panicked because “This was the first campaign they had worked on where they couldn’t leave the country immediately afterwards” and as they hadn’t been legally on campaign, they had to deny. Chris says he has seen invoices from Cambridge Analytica to UKIP and to the Leave campaign. But the key is that US Billionaire Rober Mercer, and Steve Bannon, were pulling the strings for Brexit. “Aggregate IQ had an IP deal with SCL Group and Cambridge Analytica that anything it built belonged to them. The only clients they had were Cambridge Analytica and Cambridge Analytica’s clients. The idea they are separate companies is laughable. Gizmodo has today revealed the details of the platform built by Aggregate IQ for Cambridge Analytica — that could manage the programmatic advertising, matching imagery and narratives programmatically using the Cambridge Analytica’s algorithms to target specific users. Shahmir is speaking now. “Chris was the only person I knew in politics. I was pro-Leave, I wanted to get involved.” Chris introduced him to Stephen Parkinson (now Theresa May’s political secretary). Stephen was excited about getting him involved because of his minority ethnic background. 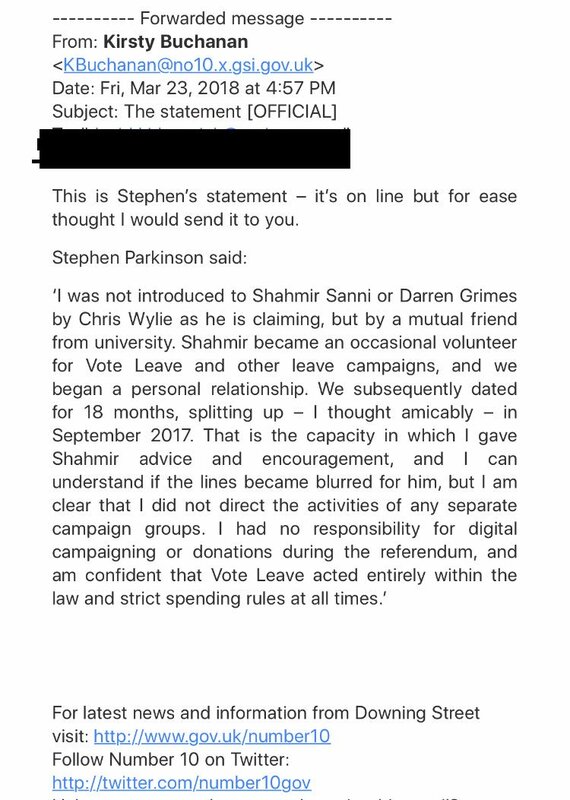 He met Darren Grimes (a student who was given £675k by Vote Leave) and they clicked. He wasn’t voting Leave because he hated immigrants, but because of what he saw as a potential afterwards. Darren was designing content and ads. His ads said things like ‘African farmers will benefit’. Darren and Shahmir set up BeLeave as a Vote Leave sub-campaign. They had a big donor approaching them and saying they wanted to make a big donation. A Vote Leave lawyer set them up as a ‘separate’ campaign. The documentation made 22-year-old Darren the Chairman and 22-year-old Shahmir the Treasurer. The money, in the end, was £625k — and never even touched their bank account. It went straight to Aggregate IQ. The actual campaign activity Aggregate IQ did for BeLeave will have made this worth £600 an email sent... unlikely that this is what was paid for. When they won the referendum, Shahmir was over the moon, having succeeded. But then, in August 2016, the Buzzfeed article came out, investigating the weird spend of £625k to two students. Darren panicked. Senior members of Vote Leave advised them on how to respond to the Electoral Commission. Shahmir had been working in Top Man, but Vote Leave backers now offered him and Darren well paid jobs. Was this just to keep him on-side? “I don’t want to think that for every successful job I had I was just being used,” Shahmir says. Chris felt bad that he had introduced Shahmir to this. Especially that he had been put into a position of legal liability as Treasurer. He listened to Shahmir, and realised that the activity had been against UK election law. When he was next at Aggregate IQ, he asked to see the BeLeave work and saw that the work hadn’t been silo’d — it was done together with Vote Leave, the DUP and other Brexit work. Cambridge Analytica and Aggregate IQ had set up a shared drive for BeLeave with all strategy documents, legal documents, ads, etc. — all managed by Vote Leave staff. Chris saw it all and saw they had specifically tried to cover up that Vote Leave people had access to it, 10 days after the investigation was notified. “The Press is trying to make this a bizarre lovers’ quarrel, rather than an expose of illegal activity. That’s what they should be reporting,” Chris explains. BeLeave’s purpose was to present a progressive outlook so they would lose less middle ground voters. So, Shahmir didn’t see the negative campaigns. Chris met Dominic Cummings in autumn 2015. Then, Vote Leave had no data. Cummings asked “How can we create the Palantir of politics?” Chris then couldn’t see how they could build that in time for the campaign. But then, suddenly, a lot of data appeared. For some of that, it seems, Aggregate IQ were contracted to provide data “by whatever means it takes.” But Aggregate IQ is out of reach of British investigators, in Canada. Chris says you don’t waste money targeting people who are already going to vote for you, you target the others who need to push or pull in some way. Put opponents off voting, etc. Chris says: “First thing is we should encourage people who know about wrongdoing to come forward.” He didn’t for a while because, after leaving Cambridge Analytica, they sued him and he had to sign an Non-disclosure agreements. It was scary to be up against a billionaires’ lawyers. Then, he says that although he is only public now, the process has taken a year. He reported to the authorities, before going to The Guardian. He also worked at convincing others to come forward with evidence. This is the end of that process. He wanted to take time and do it right. There’s no one moment. It was gradual. At first, he was just being told the claims of illegal activity were just ‘remonaing’ and people trying to stop Brexit. He was being given official line by the staff of cabinet ministers... As a 22-year-old, it took him a long time to get past this from authority figures and realise something bigger was wrong. He realised it was illegal, and the things being submitted on his behalf to the Electoral Commission weren’t true. Then, he saw Vote Leave starting to do some cover up. Shahmir says he voted Leave, but he doesn’t care about that now. It’s about a democratic system. To watch the video of the entire event, click here. To read more about Cambridge Analytica’s activities in India, click here. 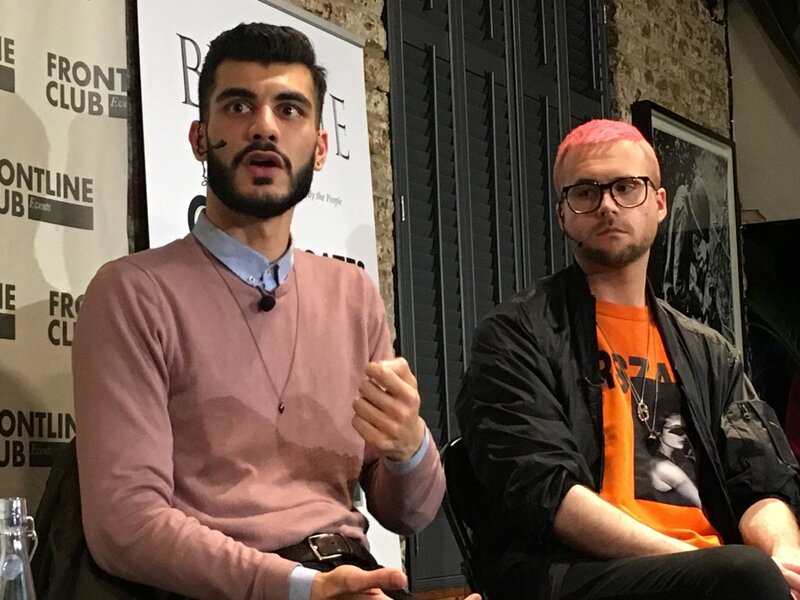 To watch the testimony by Cambridge Analytica whistleblower Christopher Wylie to a parliamentary committee click here. To keep following this story follow Carole Cadwalladr and Byline Media. A writer & entrepreneur based in London, UK. He has written a series of entrepreneurship books for Pearson. Steve runs digital agency Convivio by day. Hoisted on his own petard? 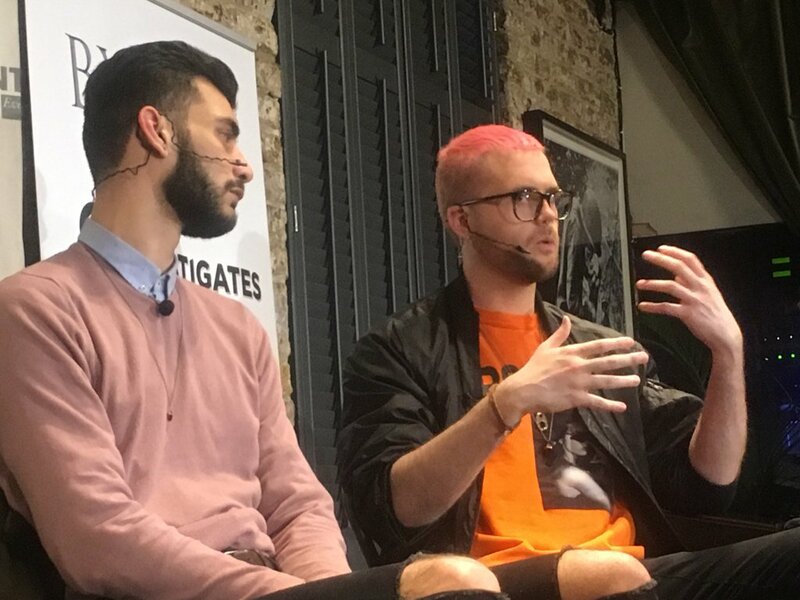 Watch — The Cambridge Analytica files: The live event.